If you’ve been following this blog for any amount of time, you’ll know that we’ve been talking about amendments to the Alberta Condominium Property Act (or CPA) for a long, long while now. It might be hard to believe, but for as long as we’ve been chatting about these changes, the government’s been discussing them for even longer. In fact, it’s been 18 years now that condo owners in Alberta have waited on these amendments – and now, they’re finally here. 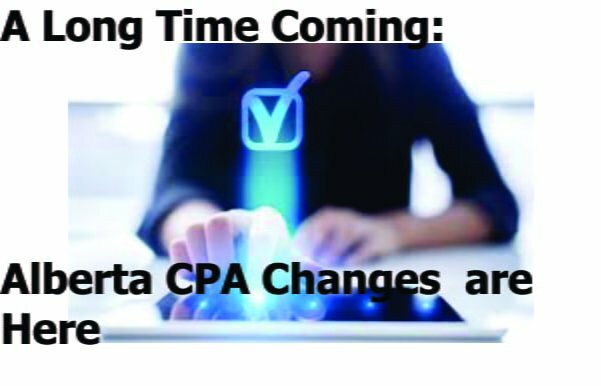 With these CPA adjustments come a number of changes that will be going into effect as of July 1, 2019, with more coming down the pipe in 2020 – but, as sweeping and impactful as much of this new legislation is (especially when it comes to reporting practices and transparency – more on that later), there’s not actually a lot that the average condo owner will need to do in preparation. Notice of Meetings. Effective July 1, 2019, condo boards will be required to provide notice of annual general meeting (AGM) details to condo owners at least 60 days in advance, while also allowing owners to propose new agenda items after receiving this notice for up to 30 days before the actual AGM takes place. Minutes and Budgets. Condo owners are about to get a real look at how the sausage gets made as additional amendments will require condo boards to not only distribute meeting minutes to condo owners within 30 days of the AGM (including a record of votes) but will also have boards distribute the annual budget to owners at the start of each new fiscal year. Condo Fees. In order to curtail the number of special assessments that take place throughout the province, the new CPA amendments will empower boards to raise condo fees based on results from reserve fund studies – provided, of course, that these studies are performed by qualified individuals. Insurance Deductibles. Coming in a little later than some of these other changes are adjustments to practices around condo insurance deductibles. Starting January 1, 2020, condo boards can start pursuing owners for outstanding deductibles of up to $50k – so, if there’s one bit of advice we have for owners in advance of these changes, it’s to secure deductible insurance for that same amount as part of any additional coverage already in place for their unit. These are definitely some impactful changes – and they are only a few of the bigger adjustments that will be coming into play over the next 365 days. Wondering how all this new legislation came to be? We’re glad you asked. The CPA changes above first came into official legislative form back in 2014 in the shape of the Condominium Property Amendment Act (CPAA) following years and years of outcry over the state of condo-related legislation (or lack thereof) here in Alberta. Following the passing of the CPAA, three regulatory phases were introduced. The first phase focused on protections for new buyers and came about as the result of a series of consultations way back in 2015 before being rolled out over the course of 2018. The second phase, the one we’re writing this very blog about, will be rolling out over this year and the next, following a series of public consultations throughout 2017 and 2018. Finally, the third phase has yet to fully take shape, but will establish a dispute tribunal that will act as a more-affordable alternative to courts when it comes to resolving issues between condo boards, owners, occupants, and others. As all this legislation took shape and even now continues to evolve, Catalyst hasn’t just sat idly on the sidelines. Instead, we’ve sought to provide coverage of these goings-on through our blog, have attended and spoken up at many of the consultation seminars, and have sought to provide a neutral-platform for condo owners to have their voices heard – all part and parcel of our commitment to advocacy for condo boards. These adjustments to the CPA are much-needed and sure to be well-received. After all, any legislative alterations toward the direction of increased transparency are always going to be positive. That said, many of these changes are nothing new to us here at Catalyst. In fact, many of them are right in step with standards we’ve held ourselves accountable to for years. One of our steadfast commitments is to embrace transparency within our own practices wherever possible, and so, all this really means is business as usual at Catalyst. If this blog accomplishes anything, we hope that it encourages you to take a look at the incoming CPA changes so that you’re informed and knowledgeable when they come into effect July 1, 2019. If you have any questions or need some clarification on any specific changes or adjustments, you know what to do: pick up the phone or visit us online at Catalyst Condo Management and we’ll be happy to answer any questions you might have.